For you writers and bibliophiles, one travel tip I do have is if you are ever in Las Vegas, one of the top rare book stores in the country happens to be in the Shops at the Venetian. Yes. A casino doubles as a home to a rare book store. I present to you, Bauman’s Rare Books. Retail markups are alive and kicking here. 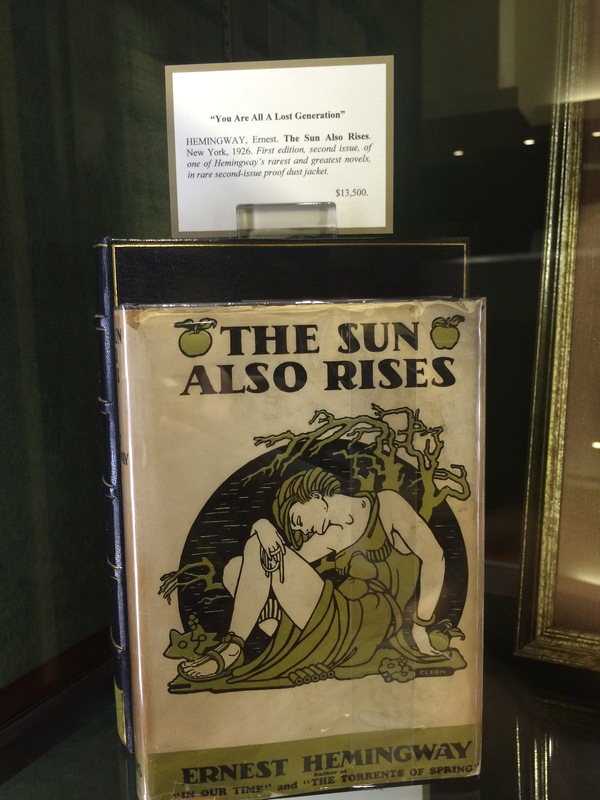 You can buy a first edition, second issue of The Sun Also Rises for a cool $13,500. 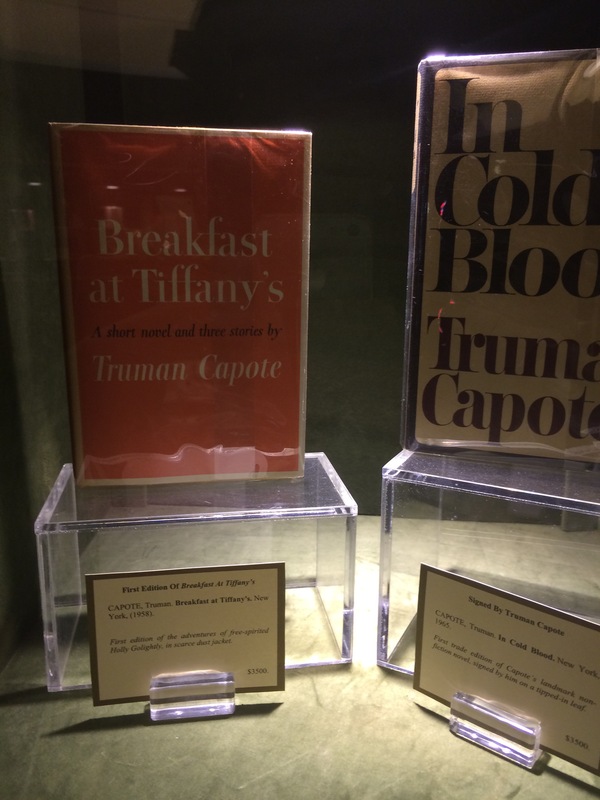 Are you a Truman Capote fan? You can buy both of his classics if you don’t mind parting with a some cash. The store is one of the rare places that you can actually pick up and touch a $30,000 book, under supervision of course. They have a ton of books going back a few hundred years, along with modern classics. The newer the book is, the more likely it needs an autograph or inscription to get a place on their shelf. Are there any James Bond fans here? 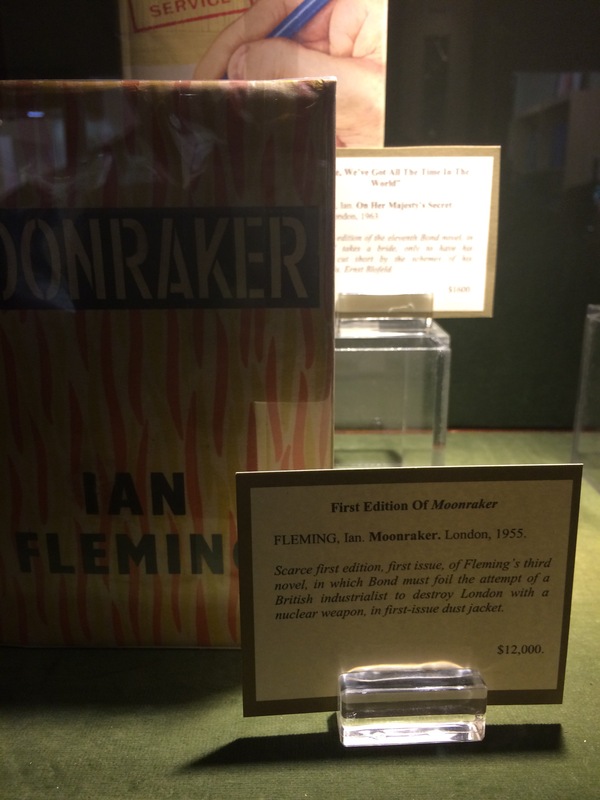 Despite being a pretty bombastic movie with a nonsensical plot, the first edition of Moonraker commands $12,000. 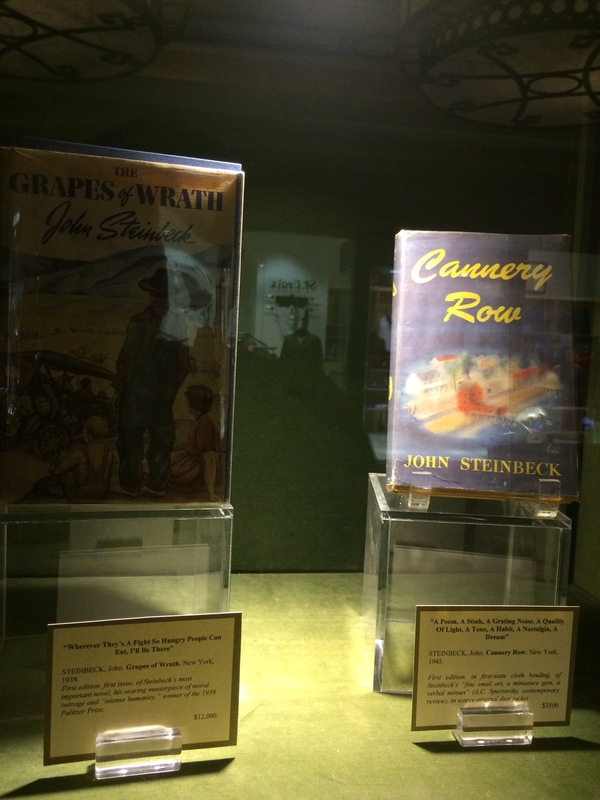 The Grapes of Wrath is a novel that is required reading in many high school curriculums. True story, as a final project I turned in a children story of the Grapes of Wrath, complete with the shocking “suckling” ending. Who knew people in the depression could have simply scooped up copies of this book and given their grandkids a nice inheritance. 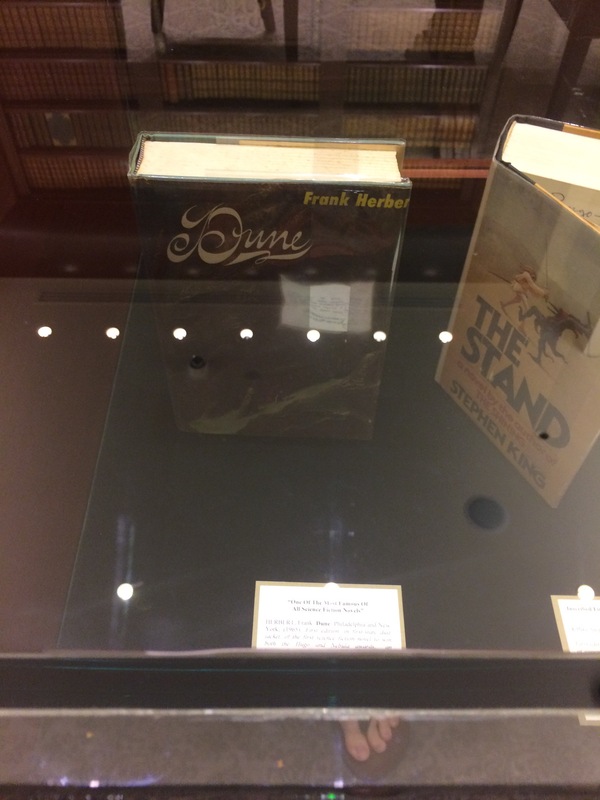 And finally, we have The Stand and Dune. The Stand is autographed by Stephen King back in 1983 I think. Sometimes personal inscriptions are worth more due to the relationship. Dune is my favorite Sci-Fi novel of all time (Read it 3 times). In some fantasy dream land I will find this book for $1 at a Goodwill and do 3 victory laps, but until then I can only look and be envious since I don’t have $9,000 to spend. If you are ever in Vegas and like book collecting, Bauman’s Rare Books is a must.